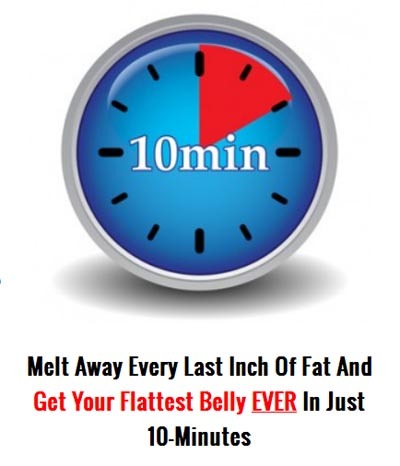 Fat Shrinking Signal Review (2019) - Weight Loss in 10 Minutes? Fat Shrinking Signal Review – Weight Loss in 10 Minutes a Day? Are you overweight? Chances are good that you are. I don’t know you, but if you’re reading a review of a weight loss product, then you probably have a pound or two that you’d like to lose. Chances are good, too, that you’ve tried to lose weight and haven’t been successful. That’s not about you, either. That must means that you’re typical, because many people try to lose weight and can’t. Derek Wahler knows this, which is why he created the Fat Shrinking Signal weight loss program. His system is designed to help you start dropping pounds almost immediately, and he says you can do it in just ten minutes a day. That’s a tall order, so I thought I’d take a closer look. Is Fat Shrinking Signal a scam? Click here to visit the Fat Shrinking Signal Website. Read on for the full Fat Shrinking Signal review. Fat Shrinking Signal is a video workout training course. All of the videos (there are 19 in all) are viewable online. They’re also downloadable in mobile, standard definition and high definition formats. That makes them fairly portable; you can watch them pretty much anywhere you like. The first Fat Shrinking Signal upsell offer is for a series of PDF books that include a meal plan and recipe books that offer tasty, but fat-burning recipes for breakfast, lunch, dinner and snacks. The recipes we saw looked quite tasty and easy to prepare, with entrees such as Cheesy Pork Chops with Pears and Pecan Crusted Trout with Wrapped Asparagus. The second Fat Shrinking Signal upsell is for an additional set of workout videos, combined with three more ebooks – How to Cook Fat-Burning Meals in 10 Minutes, 120 Delicious Recipes for Flatter Abs, and Daily 31 Second Flat Belly Secrets. The 120 Delicious Recipes book features recipes that are entirely gluten free, too. The workout videos are roughly the same in count and duration as those in the main Fat Shrinking Signal product. The final upsell is for two ebooks that feature even far more intense and long-term workouts than those featured in the main product. These workouts require access to gym equipment and/or weights. As for the main Fat Shrinking Signal product, the course consists entirely of video. There’s no printed manual or book; you can either watch the videos online or download them in one of several formats to suit whatever device you might want to use to play them back. Each video runs about twelve minutes, and that’s pretty much in line with Derek’s claim that you’ll be working out just 10 or so minutes per day. The Fat Shrinking Signal is based on Derek’s claim that over time and as you grow older, your body begins to suffer from something called “leptin resistance,” which makes it harder for your body to burn fat and therefore harder for you to lose weight. Derek’s exercises are intended to “flip the switch” that will cause your body to once again begin to burn fat the same way it did when you were younger. The 19 Fat Shrinking Signal videos are intended to cover a period of 21 days, though there are five rest days during the three week period. There is a warm up video that shows you what you should do before every workout, and also a “cool down” video that shows you what you should do after each exercise session. There is also a bonus workout video that shows you some additional exercises that you can do after each scheduled workout in order to obtain faster results. You’ll be working out most every day for three weeks, with a rest day roughly every three days. During the “rest” day, you are still encouraged to remain active, and do things such as take a walk or stretch a bit. The rest days are not intended for you to just let it all go; you need to remain active. As for the Fat Shrinking Signal videos themselves, they are straightforward and easy to follow, and each runs about 12 minutes. I liked the fact that Derek doesn’t just tell you what to do; he shows you what to do and goes through the entire workout with you. I also liked the fact that the workouts do not require any special equipment to do. You won’t need to have a gym membership or own weight sets, or fancy gym equipment. All you need is some free floor space and about ten minutes a day of your time. One thing that I didn’t like about the videos is that the audio quality was only so-so. This had to do with the fact that Derek didn’t seem to be wearing a microphone and there was a bit of an echo in the room. You can certainly understand what he’s saying, but the video quality is better than the audio on these workouts. If you follow the workout plan offered with the Fat Shrinking Signal, you’ll undoubtedly find yourself in better shape and you’ll probably lose weight, too. No guarantees, of course – losing weight is up to you. Is Fat Shrinking Signal a scam? No, it’s a good video course that offers you a number of brief, but intense workouts that shouldn’t take more than 10-12 minutes per day. If you’re interested in taking it to the next level, you might consider buying the upsells; the diet books offer a great selection of tasty, healthy and easy to prepare recipes and the additional workouts can certainly help. All in all, Fat Shrinking Signal is a pretty good course and it delivers what it promises – good workouts that are easy to do that won’t require you to invest in a gym membership or a lot of equipment. You can do these workouts at home. Fat Shrinking Signal is recommended. Hemorrhoid No More Review - Get Rid of Them for Good? 4 Cycle Fat Loss Review - Eat More Carbs and Lose Weight? Total Hair Regrowth Review - Get Your Hair Back?